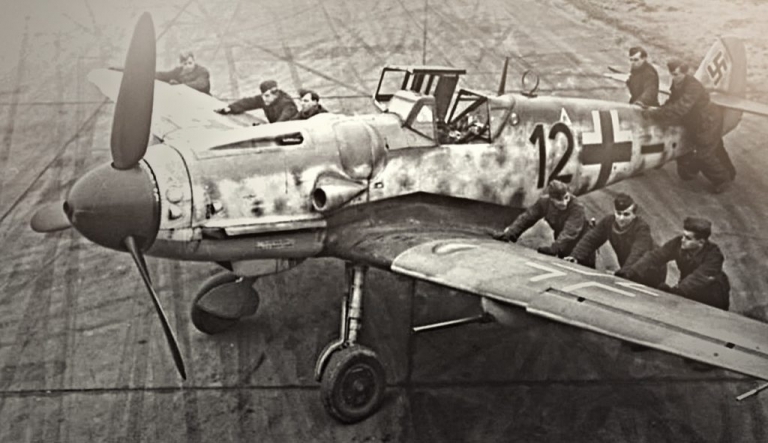 Air Assets ™ International of Lafayette, Colorado and Bob Hammer LLC (Me262 Project) of Everett, WA have signed an agreement to complete the restoration process of two Messerschmitt Bf109 Wk. Nmrs, 10144 and 10256, both F4 models, to flying condition. The restorations will be co-located at the Me262 Project facilities in Everett, WA. Bob Hammer, President of Bob Hammer LLC commented “We are truly pleased to have the opportunity to work with Air Assets ™ International on these exciting restorations. We have worked with Air Assets in the past as they have represented the sale of our three remaining Me262 aircraft. They have worked closely with our team and have seen how we are committed to providing quality workmanship. Air Assets and their company Warbird Recovery is just as committed to saving aviation history”. For more information on the Bob Hammer LLC and the Me 262 Project, visit www.stormbirds.com. Contact Gordon R. Page at 303-460-1156 for more information.